At EquiFeast we are extremely privileged to be able to share with you a guest blog EXCLUSIVELY available through our website. 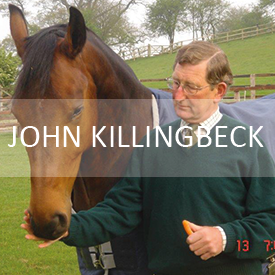 Renowned equine veterinarian John Killingbeck and his wife Lucy have been using EquiFeast on their horses for many years and John has graciously offered to provide exclusive blog posts for us to feature on our website and share with our followers. Keep an eye out for future posts on key topical issues that will be of interest to any keen horse owner. For more information on John and his career to date, please CLICK HERE.